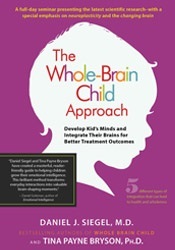 Tina Payne Bryson, Ph.D., is the co-author (with Dan Siegel) of two New York Times bestsellers, The Whole-Brain Child (Bantam, 2012) and No-Drama Discipline (Bantam, 2016), as well as The Yes Brain (Bantam, 2019). Dr. Bryson is also the co-author (with Dan Siegel, M.D.) of The Whole-Brain Child Workbook (PESI, 2015) and No-Drama Discipline Workbook (PESI, 2016). 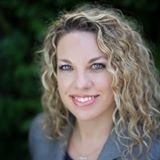 She is the executive director of the Center for Connection in Pasadena, CA, and a pediatric and adolescent psychotherapist. She keynotes conferences and conducts workshops for parents, educators, and clinicians all over the world. Dr. Bryson earned her Ph.D. from the University of Southern California, where her research explored attachment science, child-rearing theory, and the emerging field of interpersonal neurobiology. Financial: Tina Payne Bryson has an employment relationship with Pediatric and Adolescent Psychology Associates. She is a director with the Mindsight Institute. She is an author for Random House Delacorte publishers and receives royalties. She receives a speaking honorarium from PESI, Inc. Non-financial: Tina Payne Bryson is the co-host of the online parenting show “The Intentional Parent”. She maintains a blog on kids and parenting (TinaBryson.com).